What changes would you need to make for His will to be fulfilled in you? What would it take for you to be healthy - whole, undamaged, and intact - in every area of your life? Would it take a miracle? If so, your answer is closer than you think - because God has a miracle for you. He has just what you need. He is the God of the miraculous…and He has your miracle on His mind. 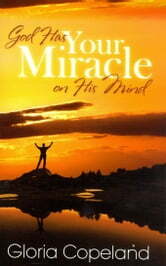 Gloria Copeland's God Has Your Miracle on His Mind will help you discover how to: - Expect the impossible - Take action and "position yourself" for your miracle - Stand strong - even when it seems like it's too late. So what do you need from God today? Whatever it is, He has more than you can imagine in store. 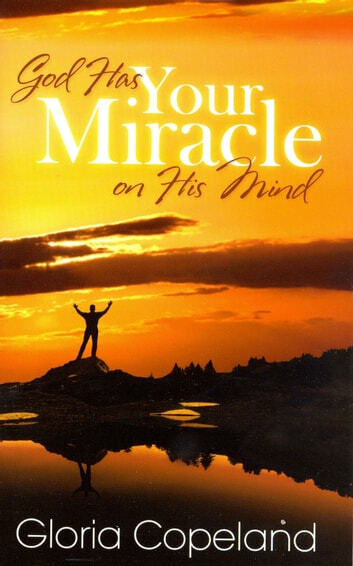 Get ready…God Has Your Miracle on His Mind! Short but good read. Still very powerful words for thought. I must find his programs on tv. My mom use to watch him all the time.